Opera house on the left and the barcode on the right. See below for same pov in focus. The Oslo Opera House (Norwegian: Operahuset) is the home of The Norwegian National Opera and Ballet. L'edificio in vetro e marmo della Oslo Opera House ospita l'Opera e il Balletto norvegese. This is a crop of an earlier uploaded picture. The crop was reccomended by a fellow flicr member and here it is. Also went down a lot on the colours. My wife and I cruised the Norwegian Fjords a few years back. This panorama was taken from the Castle adjacent to Cruise dock area. Oslo has a lot to offer. We were there for the second time. Among the most memorable attractions in my recollection were the Museums at the Bygdoy Peninsula, Frogner Park and the Royal Palace. Such a wonderful, luminous winter glory. This was taken from a public ferry, short after departure from Oslo's harbour. I really recommend anyone visiting to tike a little tour. Sunbeams of The Oslo Fjord by Bjørn Normann jr. Went down to the opera house an did some hars light shooting.. This worked out ok.. So if you pretend that the door is an eye.. Or it might just be my head spinning after a day with the kids:p But I could swer it looks like a dog facing left.. Anyway.. I was wondering of removing the bird, but I didnt. Several months of bad weather in Oslo, time to get indoor. Bird's view of the district Grønland (Greenland - but we seldom mix it with the huge island in the Atlantic). 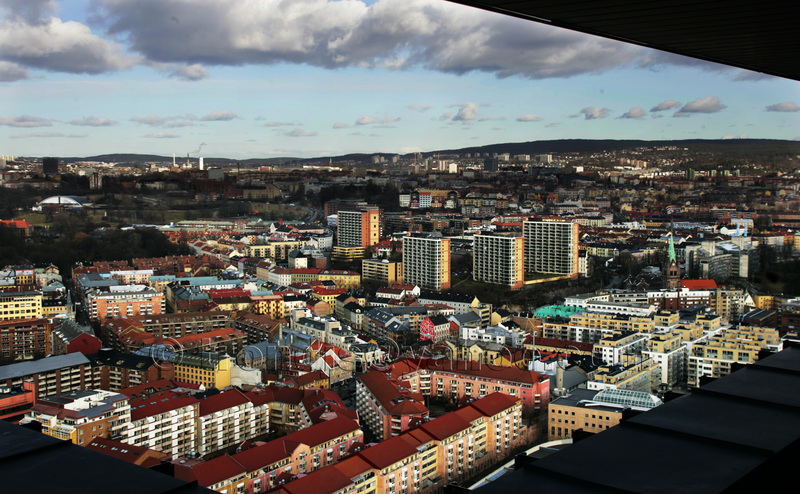 Situated in Oslo's inner eastern city, the traditional worker district has gotten a large percentage of immigrants living there, starting in the 1970's. Its becoming increasingly popular amongst ethnic Norwegians again now, with its urban location just a short walk from Oslo's central district. Most of the buildings seen near the bottom right of the photo were built over the last few years - there's been massive building work in this area lately. The four large blocks in the middle of the photo are the area called Enerhaugen - an old worker's district that was torn down and replaced by these four 13-15 floor blocks between 1960 and 1965. The pinkish/orange block complex near the bottom middle is called Grønlands torg ("Greenland's plaza"), and was built around 1990, if my memory serves me well. The map location for this image, as the previous ones, is the viewing point. The area seen in this image is northeast of the viewing point. All rights reserved, no use of my images without my consent. Contact info on my Profile page. If you're interested in purchasing my image, please check my profile page for info. And old shot I never did any editing on. 10 sec on f 22 and iso 100. Cloudy Blue by Ramon C.
She Lies (Norwegian: hun ligger) is a public sculpture by Monica Bonvicini made of stainless steel and glass panels next to the Oslo Opera House, in Norway.